Come celebrate Nigeria’s Independence Day at the Main Supremacy Concert on the 1st October at Eko Hotel & Suites, Victoria Island, Lagos. The musical revolution tagged “The Supremacy” is a live music concert. 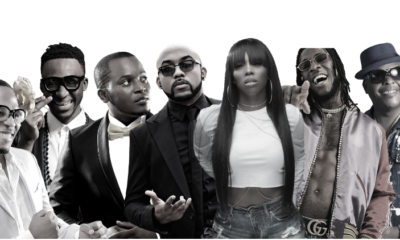 This year, it will feature performances from some of Nigeria’s biggest made-in-Nigeria artists; The Legend Sir Shina Peters, Hitmakers Olamide and Tekno, Africa’s hottest female artist Tiwa Savage, The Koko master D’Banj and Alakpo Meji 9ice. Join these stars as they celebrate Independence Day in grand style! Time: Red Carpet – 7pm, Event Starts – 9pm prompt. Venue: Eko Hotel & Suites, Victoria Island, Lagos. Get your tickets NOW at Eko Hotel, Soul Lounge and Timeless apartments & bar.